Behind every successful tennis player stands the perfectly matching bag. Just ask Andy Murray who takes the Radical 12R Monstercombi with him on the world's greatest and most famous courts. The bag's high-end materials puts a special emphasis on the new slim shape. On the inside, the three spacious main departments make sure you can bring whatever you need while the separate shoe bag makes sure that you keep those dirty shoes or laundry locked away if you need to. The bag also features two big outside accessory pockets to ensure that your things are right where you need them to be. The bag also scores big on the technology side as it comes with the climate control technology CCT+, which protects your racquets inside from extreme temperatures outside. Its super practical backpack carry system allows you to carry it over your shoulder or put it onto your back comfortably. 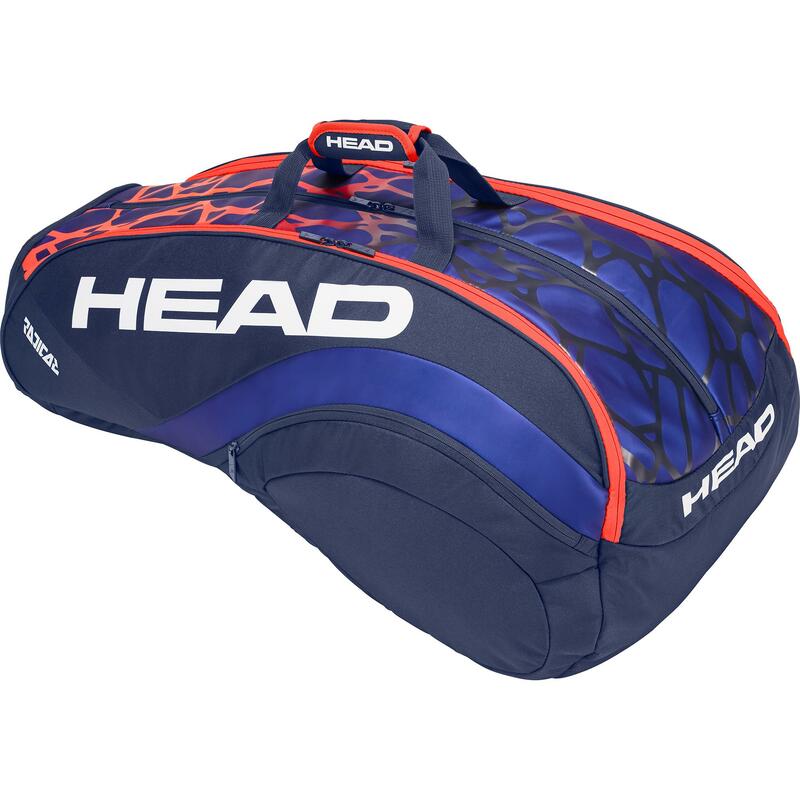 Free delivery available on Head Radical Monstercombi 2018 12 Racket Bag! Order now! Do you own the Head Radical Monstercombi 2018 12 Racket Bag?